you have to stay south of the Old Grimsby and Hugh Town islands according to the white line gestapo. 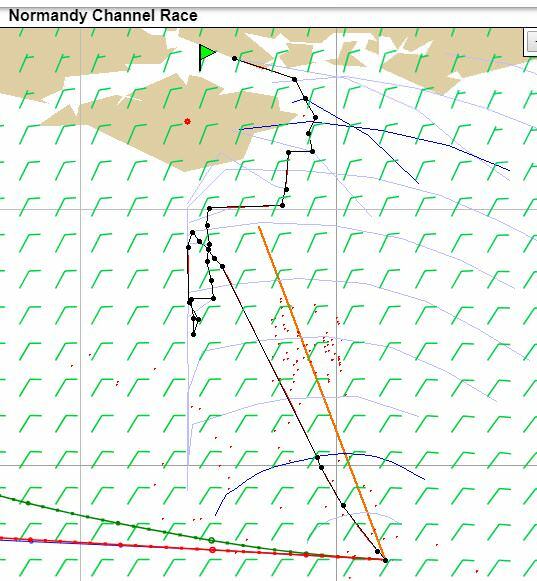 so it is also mandatory to pass between Herm and La Rade ..
1000 nm with a lot of gates, no garanty to finish it with a class 40 in less than 7 days. Looks like VR noticed this too and give us a whooping 3 extra days, but it is probably still not enough. Is this chart : http://zezo.org/ncr/chart.pl ok with 2018 edition ? Yes. It's updated to this year version but I forgot to add it to the home page. ZEZO Route and polars NOT MATCH !!! From a former IT guy, could you be more specific ?! Which polars do not match, zezo's or toxcct's ? And on which criterias do you say so ? Actually, Zezo was using the last Class40 polars used, which were for the Dubaï-Muscat race, for which the globalSpeedRatio was reduced to 80% of actual speed. It seems that Cvetan fixed it by now. 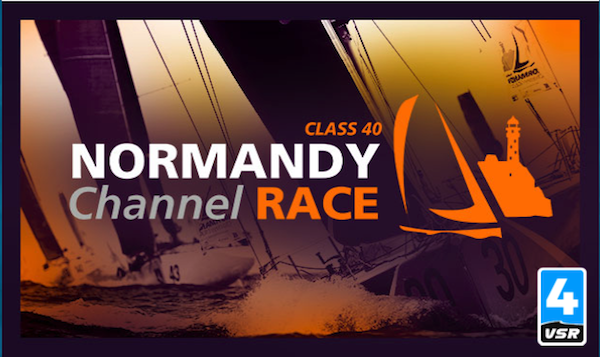 The class_40 polars are 25% faster in the Normandy Channel Race. Polar ID has not changed, and globalSpeedRatio = 1. It seems the old polars I'm comparing to are from Muscat, and actually those were 'slowed down' class_40 polars. Yep. Had a static 0.8 multiplier in the user interface from a previous race. Even with winches, I have a rule of thumb of maintaining a minimum of an hour between penalised manouvres unless there is a very obvious reason so Zezo currently suggesting I need to throw in over a dozen gybes in the next few hours to the 1st mark just 8 miles away, nigh on every 10-20 minutes, is causing much headscratching! You may win 0.1 mile. Or lose it. There is a wind shift and also more pressure North, so the exact math is complicated. Also, the game does not use exactly the same data as the router. It does not even use exactly the same data as the game itself. So it's up to you. Gut feeling, better tools. available time online. Me - I won't be doing all those 10 gybes. Maybe half of them. Oh, and the forecast will change in the meantime. The problem (if there is one) is the low boat speed. As a rule of thumb the tack penalty with pro winches is about 1% of boat speed. At 3.5 knots of boat speed that translates to 0.035 nm. Interesting. It was a situation in which the router failed badly. I was probably too tired to notice what exactly is going on, but too many tacks are usually a sing it's trying to sail outside of it's possible zone. Looks like the optimum route was going backwards at some point yesterday. Am I the only one whose boat speed shown in tha game’s interface is 3/4 of that read in the polars and on other boats? Yet I do not seem to fall back. I’ve already had1/2 and 2/3 of the speed of concurrents in other races. These differences disapeared after relaunching the game several times. In this race it persists. Any explanation for this curious behaving of the interface. 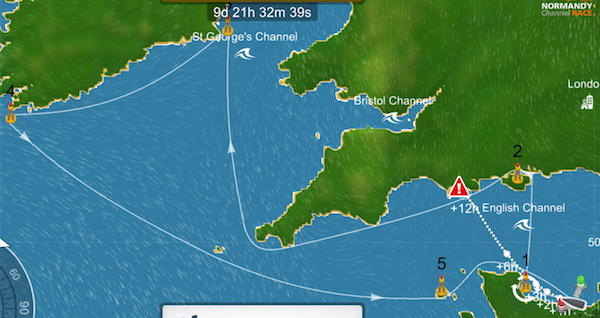 I had a case yesterday evening where the boatspeed in the iOS app showed 3.0kts and the Dashboard and PC browser showed around 4.5kts. So it might be some display bug you hit there. Funny how the real boat tracks look about the same. Here the channel between the island and the mainland is probably broken. The router desperately tries to find a way around it. Nothing special, marks at Lizard and Gwennap Head. OK, thanks, but then it was not very clear what point is used for the ranking calculation. But it will be fun for the southerners to see themselves rising now. What are the odds of VR moving it last minute? Something is wrong whith that sailor. 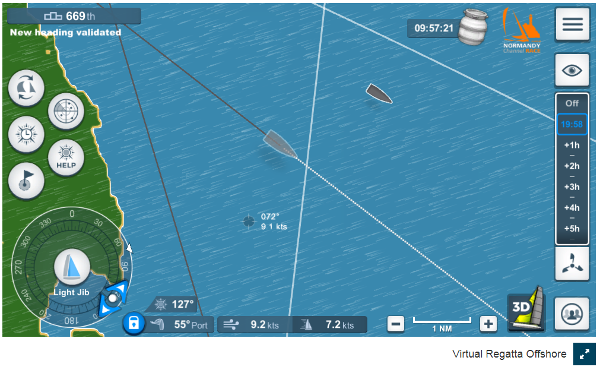 if he did not went north that buoy, then he should be loosing places quite fast. It will be a failure of the interface, because it has not lost positions. I mean Fastnet Rock, it is not where VR shows it, it is where the real boats turn back eastwards. Hope it stays where it is in VR, although you never know.